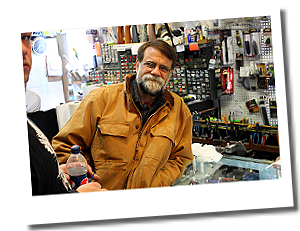 About - Heartland Archery | Winnipeg Archery Range, Lessons, Leagues, Parties & Shop! At Heartland, we truly value and pride ourselves in having a warm, welcoming and family friendly atmosphere. In 1993 Ray Myers founded Heartland Archery with a few simple goals in mind. He believed in creating a family friendly atmosphere while at the same time creating an nurturing environment where archers and bowhunters could experience extremely high levels of success. ​It’s no magic formula, but these simple principles have made Heartland Archery known around North America as breeding grounds for successful archers. Principle #1: Treat every archer the same – PERIOD. Whether they are first timers, or world champions, everyone that walks through the doors of Heartland Archery is treated with the same high level of respect. Principle #2: Always maintain an environment that you would feel safe bringing kids to. We do not tolerate negativity, vulgarity or any kind of slander at the range. We love to see archers become successful but we firmly believe it is more important to make every single person welcome. Principle #3: We believe that Heartland Archery is really YOUR STORE… not ours. We will always do what we believe customers want, and deserve. We are open to suggestions and love customers input. This have been an invaluable ingredient to our success over the past 25 years. Principle #4: Give good advice and sell customers what is good for them, and not necessarily what is good for us. We appreciate that you come to us for our expertise and knowledge and we will always do our best to suit you to the most appropriate equipment for your specific needs – not ours. Principle #5: When you’ve gone the extra mile – go one more! We will always do absolutely everything we can for customers. Helping tune equipment, giving advice, sharing secrets tricks, giving hunting tips and sharing knowledge are just a few examples.